There is something about beaming lights, cameras from every direction, and a live audience. 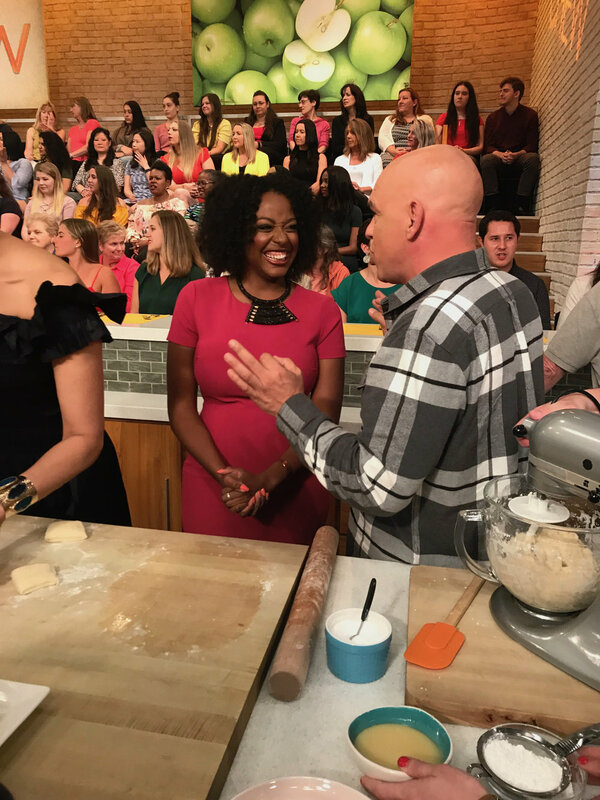 Being on a television stage and being able to share my passion for food is such an exhilarating experience! 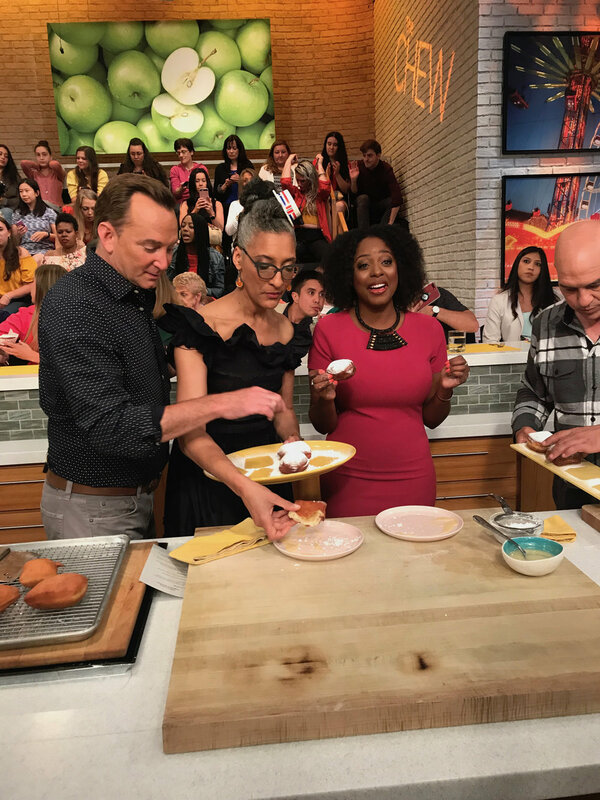 On Wednesday, I went to The Chew and recorded a couple of segments with the talented hosts Carla Hall, Clinton Kelly and Michael Symon. It was such a FUN experience! I was a little nervous, and getting stuck in worrying about minor details. BUT, I told myself to pull it together and just go out there and have fun! The day started with my getting my makeup done by the talented Waltaya. 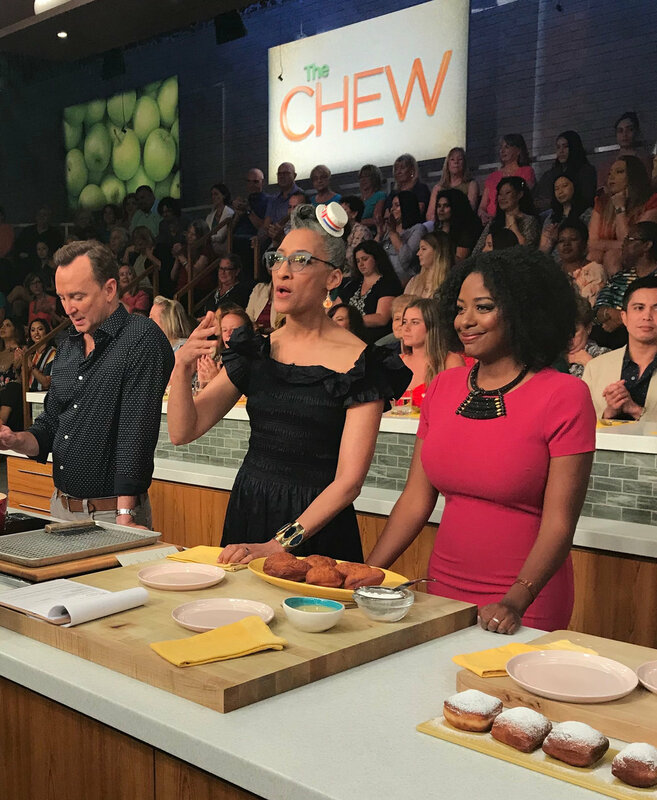 I then went to The Chew studios, rehearsed, and had lunch in my greenroom. (You can imagine that the food served on a food show is quite delicious!) Cameras were rolling shortly thereafter, and I just hung out in my greenroom reapplying lipstick and adding layers of Spanx to go under my "snug-fitting" dress until it was my turn. 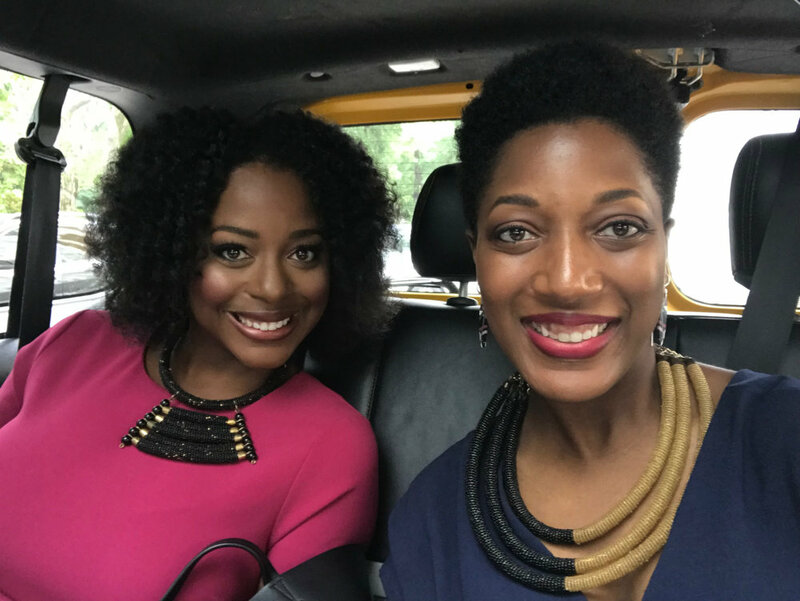 The segment we filmed just felt fun--which is a theme of the show and a philosophy I try to ascribe to in life, generally. We joked, laughed, danced, and I even managed to throw in a self-deprecating lawyer joke. (I think--or was that during commercial break?!) . We made beignet dough and fried them. I can't tell you how many batches of beignets I fried last weekend. SO. MANY. 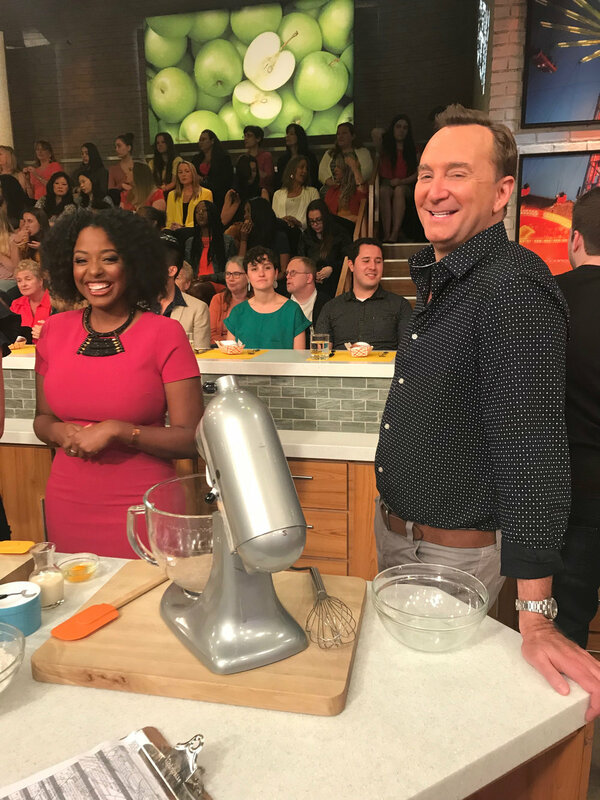 It was such an honor to be on set for The Chew's second-to-last day of filming. The cast and crew just found out three weeks ago that the show was being cancelled after seven successful seasons on air (and an Emmy nom this year!) . One thing I've learned about television production is that it's really more than a job--it's a family. It's also in many ways unpredictable, and you never know when (or why) a network will pull the plug on a show (this I learned alllll too well). I'm feeling more inspired than ever to keep fighting and doing whatever it takes to put myself out there. I can honestly say that anything I have done in the past six months is a direct result of HUSTLE. I recently shared a quote on my Instagram that I have whole-heartedly embraced. "If opportunity doesn't knock, Build a Door." You can tune into ABC this Monday at 1pm EST/noon CST to watch. The episode will also be available on abc.com.